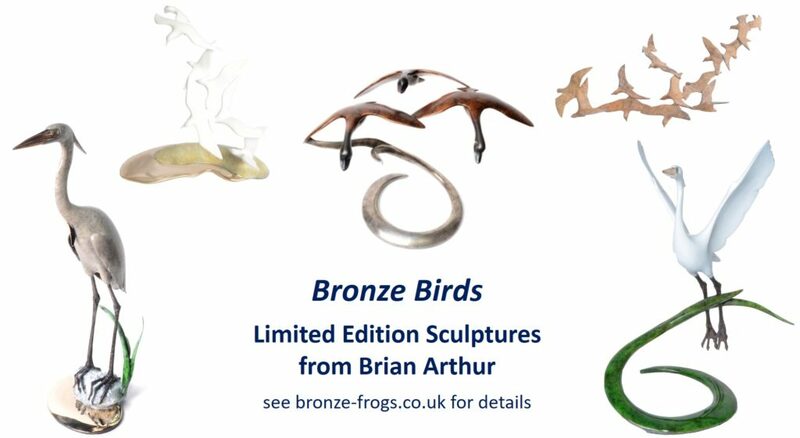 Stunning limited edition bronze sculptures of birds from Brian Arthur. Whether gracefully fluid in motion or magnificently majestic in repose, his sculptures serve as inspiring reminders of the living art that exists all around us. These sculptures are beautifully enhanced by the subtle patinas of browns, silvers, greens and ebonies ; and embellished with high polished accents. This entry was posted in Bird Sculptures and tagged Brian Arthur by Bronze Frogs. Bookmark the permalink.